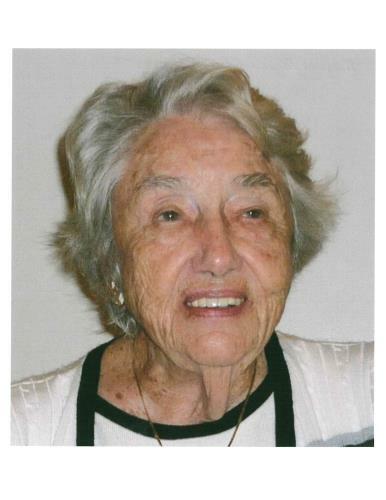 Margaret Bell Tucker Griffith passed away on January 19, 2019, at the age of 97, after residing at the Alexian Village on Signal Mountain, Tennessee for several years. She was born in Chattanooga, on Aug. 3, 1921, and after earning a master’s degree in education at MTSU, she taught at East Chattanooga Elementary School for 28 years. She was quoted as saying “and I never hit a child!” She was a proud Golden Sister of Alpha Delta Kappa and a member for over 50 years. She was preceded in death by her parents, Will and Lucile Bell, husbands, William R. Griffith and Elbert F. Tucker, son, William R. Griffith, Jr. and brothers, Jim (Lottie) Bell, Bill (Ina) Bell, and Gene (Cathleen) Bell. She is survived by her son, Fowler (Patricia) Tucker of Signal Mountain, daughters, Donna Igou (Pam Shelley), and Vicki Powell of Chattanooga, and daughter-in-law, Cathy Griffith of Ringgold, Georgia. Grandchildren include Elbert (Janice) Tucker of Nashville, Eric (Julie) Tucker, Sarah (Randy) McRoy of Chattanooga, Will (Cindy) McGee, Katie (Asten) Sullivan of Ringgold, Josh McGee of Marietta, GA, Sarah (Trevor) Griffith of Kennesaw, Ga., Mary Griffith-Nesbitt of Boston, Ma., Jessica (Tyler) Sparks, and Austin Griffith of Ringgold, as well as 18 great-grandchildren and a host of nieces, nephews, and cousins. Margaret was a lifelong member of East Chattanooga United Methodist and St. John’s United Methodist Church. Funeral officiate will be Pastor Carl Blackburn. Visitation will be at the funeral home Monday evening from 6-9 p.m. and two hours before the 2 p.m. service on Tuesday at the Chattanooga Funeral Home East on South Moore Road, with burial following the service at Lakewood Memorial Gardens East on Shallowford Road.